There is a very interesting and active Heritage Centre on the island of Foulness which is located in the old Foulness School buildings at Churchend. The centre is run by volunteers from the Foulness Conservation and Archaeological Society. The Heritage Centre is a vibrant and fascinating place containing artifacts dating back to prehistoric times found on the island. There is also an extensive contributed collection of photographs, documents and memorabilia. After many years of preparatory work the centre was opened in 2003 to coincide with the 50th anniversary of the East coast floods. Since then many visitors from the mainland have enjoyed the friendly atmosphere. Islanders past and present also come regularly to share the community spirit found in these familiar buildings. The centre is only open every first Sunday of the month from April to October between midday and 4pm. The entry gate is at Landwick. To get there, take the road from beside Great Wakering church. On arrival at the QinetiQ gatehouse you must obtain a vehicle day pass and drive from there directly to the Heritage Centre car park. There is no public transport between the gate and the centre and the distance is several miles. 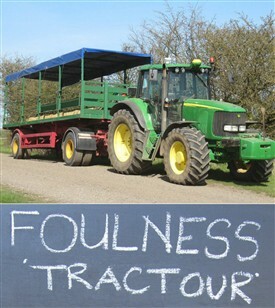 Weather permitting, a one hour tractor tour of the far end of the island starts at 2:30pm outside the centre. Sadly the pub at Churchend is closed down, but you can get a cup of tea and a cake at the centre. The post office beside the pub is worth looking at. It won't be open on Sundays, but you can peep through the window! St Mary's church is also now boarded up and in a dangerous state but still looks lovely in the Spring sunshine, witness the photo at the bottom of this page taken in April 2012. The various web links that follow were found on a web trawl in April 2012. 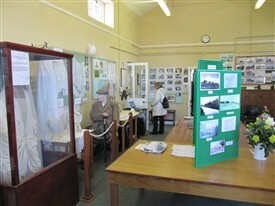 They cover the Heritage Centre, Foulness Island and the nearby area. St. Osyths – a church to the North of Foulness, where the BANGS arrived ! This page was added by Robert Stephen on 06/05/2012. Hi there, will there be Heritage open days this year (2018)? Seems so Jane. If you want to make absolutely sure suggest you ring number below. I have taken this from the Qinetic link further down the list of comments. I know it says its open up till October would that be that obviously mean the 1st of October as well? Interesting Suzanne. The Qinetiq website has no information but it does say there that a 15 year lease was granted to the FCAS in 2001 and that the Centre was opened in 2003. So 2018 will be the 15th anniversary of its opening. If anyone reading this can enlighten please post something. Is this being stopped by the MOD next year 2018? Please advise. 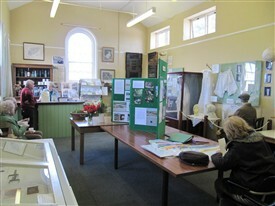 You can visit the Heritage Centre on first Sunday of month between April and Oct inclusive. Opening of HC is from 12 to 4 and you can arrive at the Landwick gate from 11:45. The link below has a telephone number but I'm not sure to where in Qinetic and whether it would be active on the day ! Hi Alan, have a look down at the comments below. You will need to get to the Landwick gate to the island near Gt Wakering. Then you will need some transportation to get you from there to the Heritage Centre at Churchend. I reckon a bicycle or motorbike would qualify (a car obviously) but possibly not on foot (can't be certain about this however). Maybe someone else can comment. I live in Rochford, how do I get there? Why can't we have a public open day on Saturdays when there is a bus service? Among other things this would help keep the bus going. Oh dear! Centre may well have been open yesterday but the gate at Wakering/Landwick obviously was not. This is manned by QinetiQ, a MOD contractor. "Centre opens every first Sunday of the month from April to October between midday and 4pm." Apologies to all. I'll make sure I check the opening conditions for the remaining events (gate and centre) and post the result here. Tried to visit today, but no one on the main gate! Thanks Beverley ... I've just come back from a short holiday so have only been able to post your request this morning. As far as I know the Centre is open today! Is the centre open for visitors on 1st May? I wasn't sure if the bank holiday affected the opening times? Centre opens every first Sunday of the month from April to October between midday and 4pm. The entry gate is at Landwick. 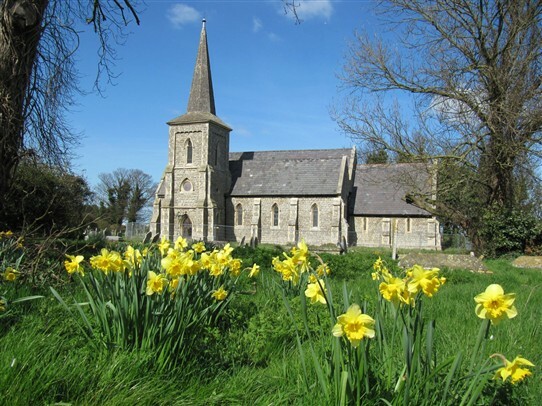 To get there, take the road beside Great Wakering church. On arrival at the QinetiQ gatehouse you must obtain a vehicle day pass and drive from there directly to the Heritage Centre car park. There is no public transport between the gate and the centre and the distance is several miles. booking for the Tractor Tour should be done on arrival at the Centre - I don't think you can book in advance. The Tour will run, weather permitting, from outside the Centre, at 2:30. Supplementary site info here - George and Dragon. This is the now closed pub at Churchend. Have a look at the article and comments section where the last landlord of the pub, Fred Farenden, has left valuable information. (RDCA-Admin).